Amazon has LEGO BrickHeadz Valentine’s Bee Building Kit (140 Piece) for $6.99 (Reg $10). You can get free shipping on orders over $25. 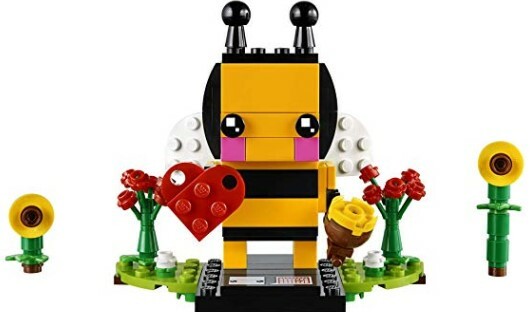 Buildable LEGO BrickHeadz Valentine’s Bee construction character features decorated eyes, movable wings, detachable heart decoration and a pot of honey. It also comes with a buildable collector’s baseplate with a seasonal calendar and BrickHeadz logo for your loved one to display in their home, office or anywhere they like.